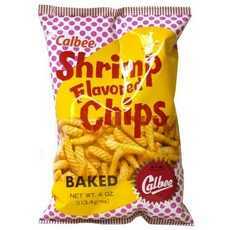 Enjoy Calbee Shrimp Flavored Chips. Delicious Shrimp Chips From Japanese Popular Snack Company. (Note: Description is informational only. Please refer to ingredients label on product prior to use and address any health questions to your Health Professional prior to use.